Proposals were developed in association with Eastbourne Borough Council, the local community and stakeholders to provide a contemporary public park design at low cost, to tackle a local anti-social activity of joy-riding whilst providing an attractive park for informal recreation. A series of long oval mounds or ‘drumlins’ were incorporated within the space to provide areas for children to play and roam. 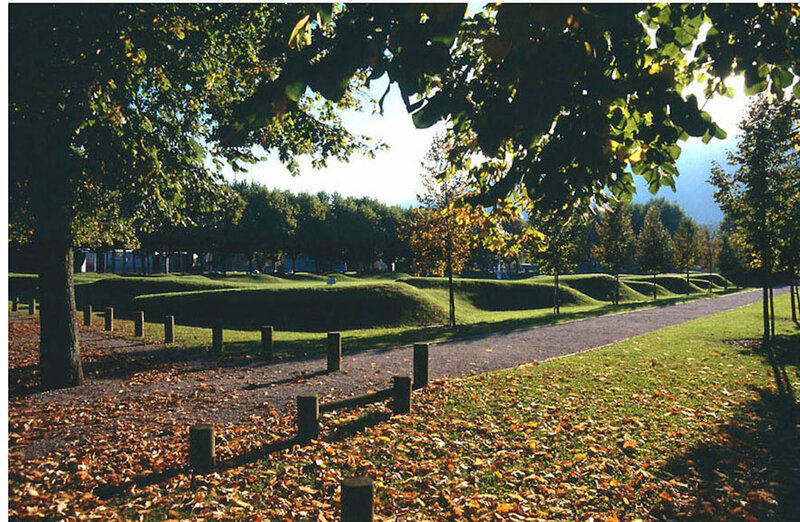 Existing mature trees were retained around the edge and protected throughout the course of construction , and dragons teeth added around the site to prevent residents parking their cars on the grass verges.